Back in June 2016 I joined in a Harry Potter quilt a long being hosted by Soma at Whims and Fancies. The blocks were posted on a monthly basis with a few breaks here and there to allow catch up if necessary! 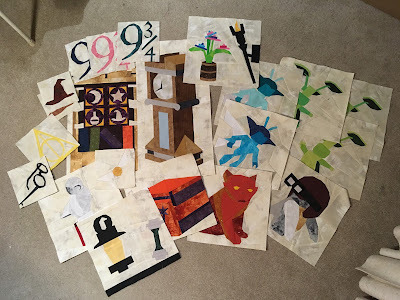 I kept up reasonably well with the blocks and made progress. Some of the blocks can be seen here, here and here. But then towards the end of the quilt along I was uncertain who I was making the quilt for. 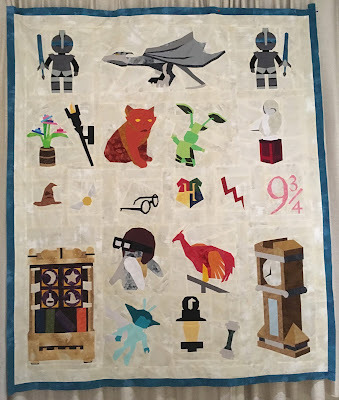 With 3 kids all enjoying Harry Potter in various stages of progress who would receive the quilt. 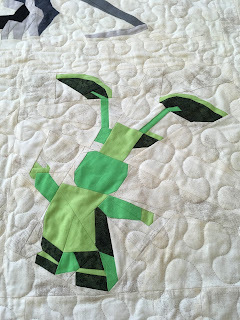 After mulling the idea for a while I started to duplicate some of the blocks and came up with the plan to make 3 quilts as Christmas gifts. This was the state of the blocks in April 2017, loads of time til Christmas!! As ever with these things, time marched on, other things needed attention, summer hit and progress slowed considerably. 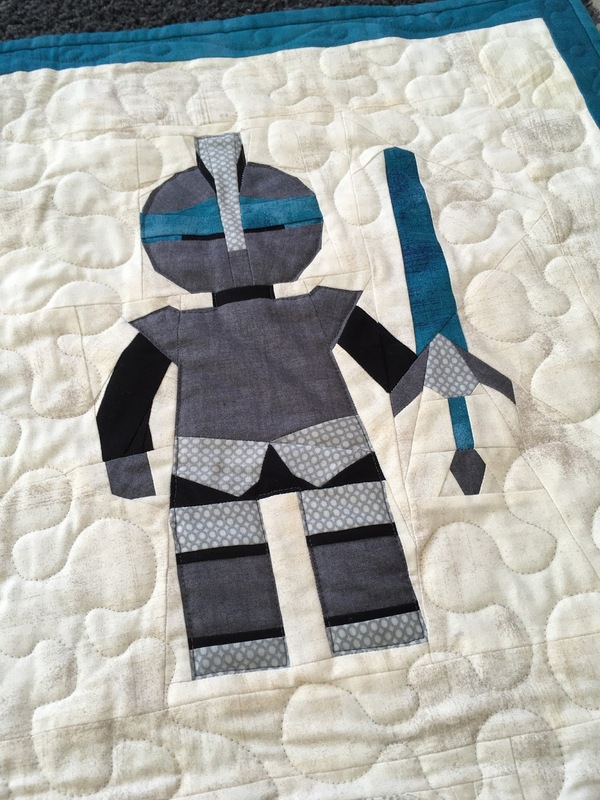 By October I had managed to complete enough blocks to actually construct one quilt top. Not really knowing what to do about the backing I decided to take a chance on the Fireside backing that I had heard quite a bit about but never used. I was very impressed with it. Very cosy and it quilted very easily, which I must confess I was not expecting. 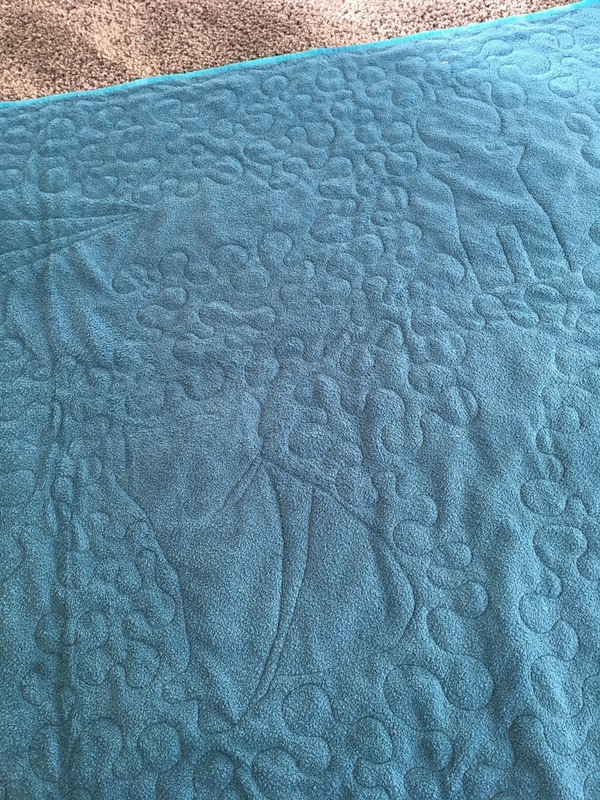 I was lucky enough to go to a quilting retreat in November for a weekend and I actually managed to get the majority of it quilted and the binding sewn on. I stippled around the blocks not wanting to detract from the blocks. 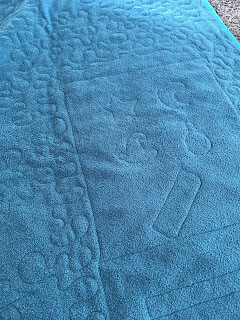 I tried to keep the quilting large and not too detailed to retain the cosiness of the fireside backing. I think it worked. 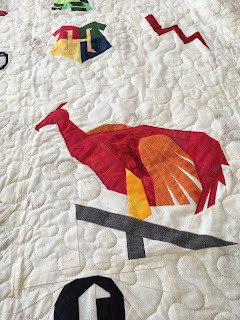 On returning from the retreat this quilt then sat in it's unfinished state while I focused on the other two quilts. To cut to the end of this story. This quilt was not finished by Christmas Eve when it was gifted. 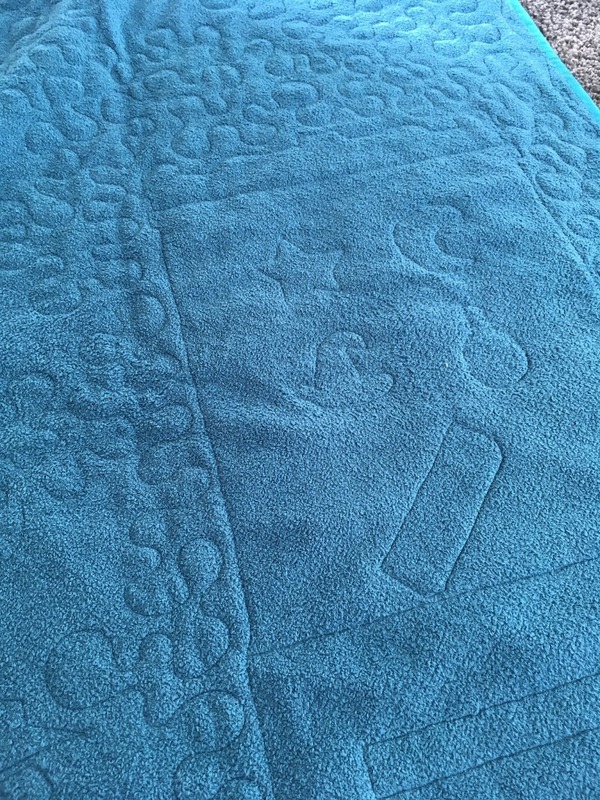 The binding needed hand finishing, the ends sewing in and the larger blocks just needed a little more quilting. It was gifted all the same. January 2018 came and I promised the recipient I would finished it ASAP. And now it is! This was one of the projects on my Finish-a-long list for this first quarter! So happy to tick one off the list. A great achievement to finish even one of these, but to make three, brilliant! 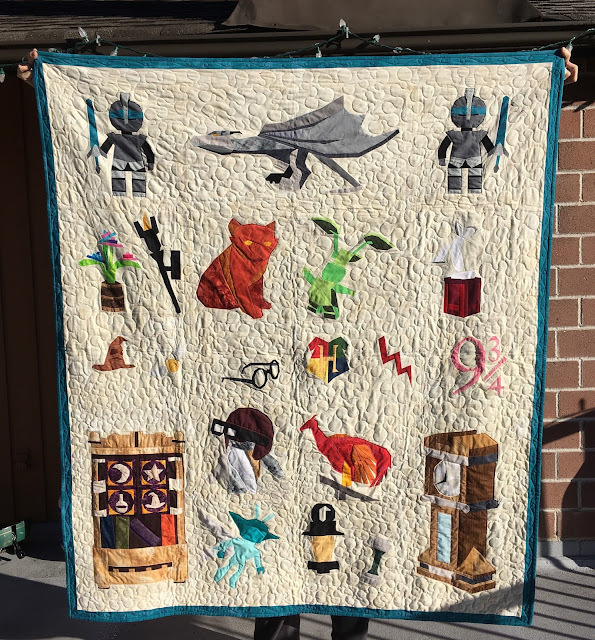 Thanks for participating in the Finshalong!